Be the first to share your favorite memory, photo or story of Deanna. This memorial page is dedicated for family, friends and future generations to celebrate the life of their loved one. MANNING – Deanna Carmella Agostini Pesce, 78, widow of Frank Michael Pesce, died Tuesday, January 29, 2019, at McLeod Regional Medical Center. Born July 16, 1940, in the Bronx, New York, she was a daughter of the late Pasquali Agostini and the late Louise Lucarini Agostini. She was a volunteer with Second Chance Animal Shelter and she was the treasurer for Shimmy Mob, a group that raises money and awareness of domestic violence. 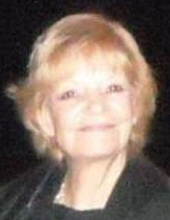 She is survived by two daughters, Donna Marie Matthews (Chris) and Regina Louise Doherty (Bill), both of Manning; eight grandchildren, William Doherty, Chris Voorhees, Andrew Voorhees, Shawn Doherty, Jesse Voorhees, Angelica Doherty, Benjamin Hollinger and Briar Rose Alsbrooks; eight great grandchildren; and a great-great grandson. In addition to her husband and parents, she was preceded in death by two granddaughters, Michelle Cutter and Lilly Voorhees. Visitation will be held from 1 to 7 p.m. on Saturday, February 2, 2019, at her residence, 7616 Raccoon Road, Manning. To send flowers or a remembrance gift to the family of Deanna Agostini Pesce, please visit our Tribute Store. "Email Address" would like to share the life celebration of Deanna Agostini Pesce. Click on the "link" to go to share a favorite memory or leave a condolence message for the family.